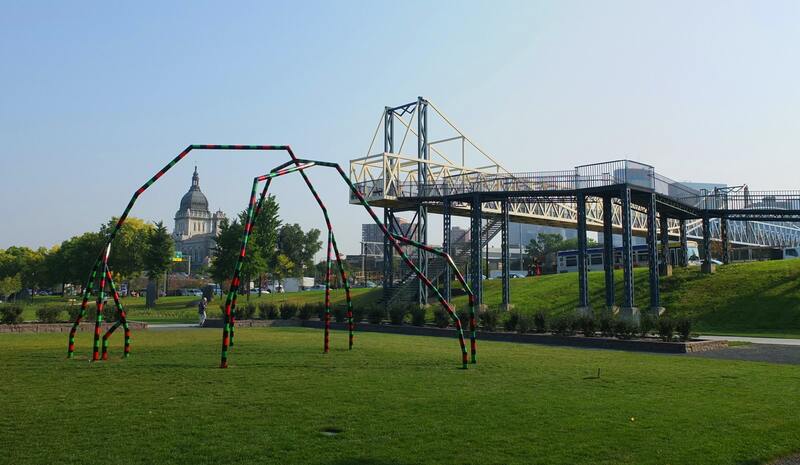 Two years later, nearly to the day, it was his friend, John Ashbery, who was on the Walker stage, reading a commissioned poem he wrote, at the sculptor’s insistence, on the Armanaji-designed Irene Hixon Whitney Bridge. 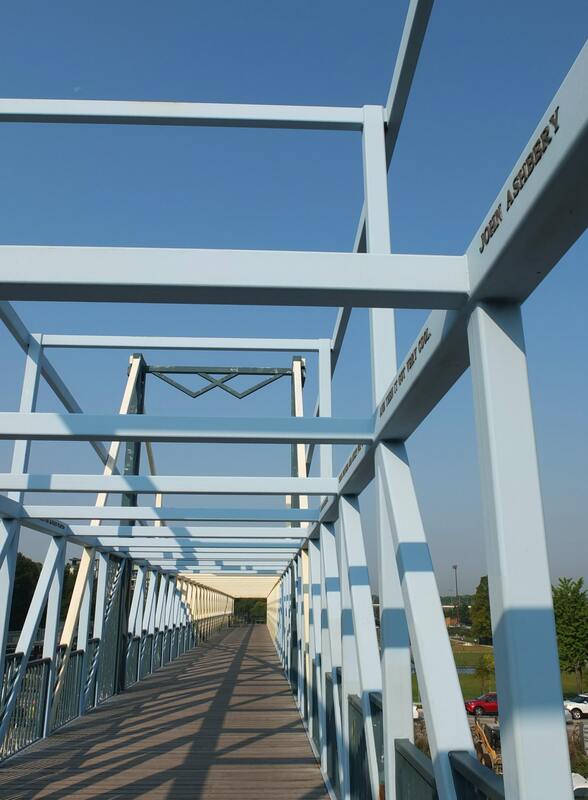 Over the years, Walker staff have joked that the untitled work is the longest poem in the world: its metal letters extend over 16 lanes of traffic, covering a length of 375 feet. On the occasion of Ashbery’s passing on September 3, at age 90, we share audio, courtesy the Walker Library and Archives, of Ashbery reading his site-specific meditation on movement, place, and order. And now I cannot remember how I would have had it. It is not a conduit (confluence?) but a place. The place, of movement and an order. The place of old order. But the tail end of the movement is new. Driving us to say what we are thinking. It is so much like a beach after all, where you stand and think of going no further. And it is good when you get to no further. It is like a reason that picks you up and places you where you always wanted to be. This far, it is fair to be crossing, to have crossed. Then there is no promise in the other. Here it is. Steel and air, a mottled presence, small panacea and lucky for us. And then it got very cool.